If you live in a place that has hot summers, then you probably have a few dedicated wardrobe pieces that you pull out on those scorcher days. For me, those items are all white; white shorts, white t-shirts, white skirts, and white dresses (see my other summer staples here). 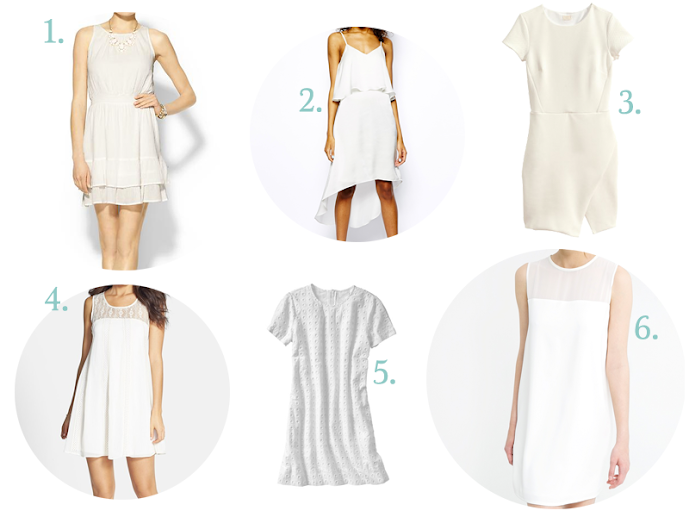 Wearing a white dress is not only refreshing in the summer, it keeps you cooler! Whether you need a flowy coverup at the beach, or you're having a summer picnic with your friends, the white dress can be your go-to instantly chic wardrobe piece in the summer when you don't have to sacrifice style for comfort. Click through to see six picks all for under $80.